Todmorden represented the termination point for trains on three routes in that it was a handy starting point for Saturday excursions to the Lancashire coast via Castleton and Bolton; the local service from Burnley terminated there, and trains needing to be turned back from Bradford or Leeds could also be dealt with. Todmorden also had a triangle, which could be used for turning any of these services in steam days, without the need for the locomotive to be run round. 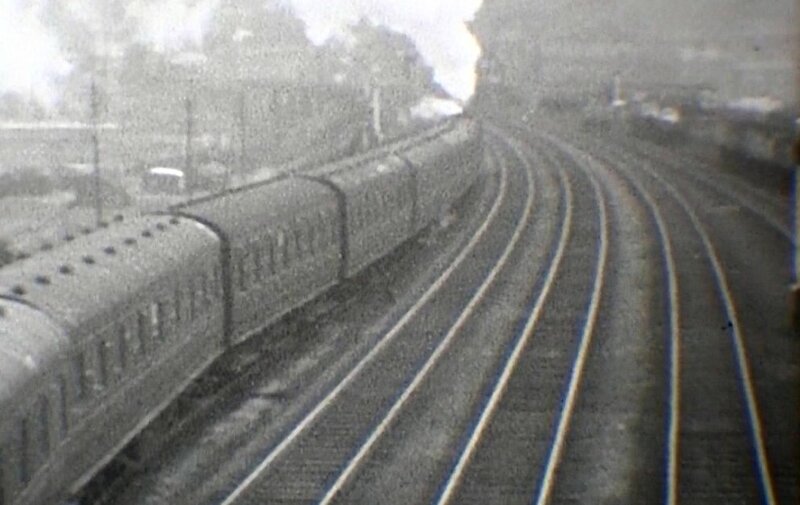 Of course, with tank engines this was less of a problem, but with excursions to Southport and Blackpool, the tender locomotives involved would have to have run tender first in one direction, which would not have been desirable. But where are the photographs of this activity, given that for the Burnley services in particular, it would have occurred throughout the day? Richard Greenwood first alerted me to this procedure, and promised in due course that film from his archive would be made available. And so it came to pass. 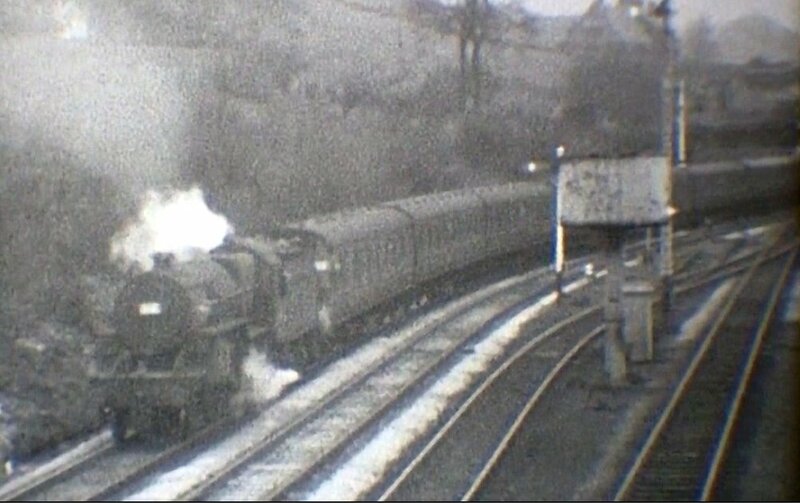 In Volume 25 'The Richard Greenwood Collection NW England - Part 2 in the Steam Word DVD series there is some wonderful footage. This is remarkable material: you can almost smell the hot oil and coal smoke. It's highly recommended just for the atmosphere. Much of it is shot in and around Rochdale, but Richard also ventures down to Manchester Victoria and to Eastwood and Hebden Bridge in the other direction. But it is the Hall Royd material that is of particular interest. Richard has captured the full series of reversing moves of a Crab-hauled excursion, and I am very grateful to Tele Rail for permission to reproduce a series of screen grabs from the 'Steam World' DVD showing this manoeuvre. Crab with empty excursion stock heads 'right line' from Todmorden West to Stansfield Hall Junction courtesy Steam World' Tele Rail video and Richard Greenwood. The Crab propels the empty excursion stock towards Hall Royd Road birdge on the second side of the triangle, having reversed over the trailing cross-over at Stansfield Hall Junction courtesy 'Steam World' Tele Rail video and Richard Greenwood. The Crab continues to propel the empty excursion stock towards Hall Royd Junction, courtesy 'Steam World' Tele Rail video and Richard Greenwood. The Crab first comes to a stand on the down road outside Millwood Tunnel, before setting off 'bang road' to cross over to the Up line using the trailing cross-over, courtesy 'Steam World' Tele Rail video and Richard Greenwood. The train now passes back under Hall Royd Road bridge and then enters the Up passenger loop. Presumably it would then be held in this loop waiting time, and allowing booked services to pass, before moving down to Todmorden station. Interestingly, this loop was branded a 'passenger loop' whilst its companion on the down side was a 'goods loop'. The train is actually moving over points 14A and 14B, and these are locked by 15 lever, so it would have been possible for a loaded passenger train to use the loop. Volume 25 also contains close-up glimpses of the bracket signal that controls entry to this loop (19 and 20 levers). 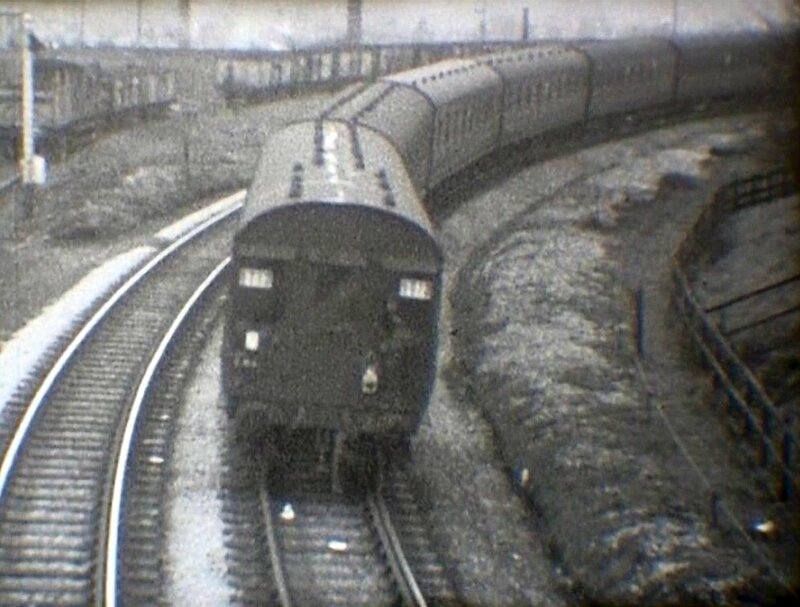 This clearly shows the distant arm on the loop bracket, which also implies it was intended that passenger trains could through the loop without stopping - so presumably to allow a train held on the main to be by-passed? Courtesy 'Steam World' Tele Rail video and Richard Greenwood. 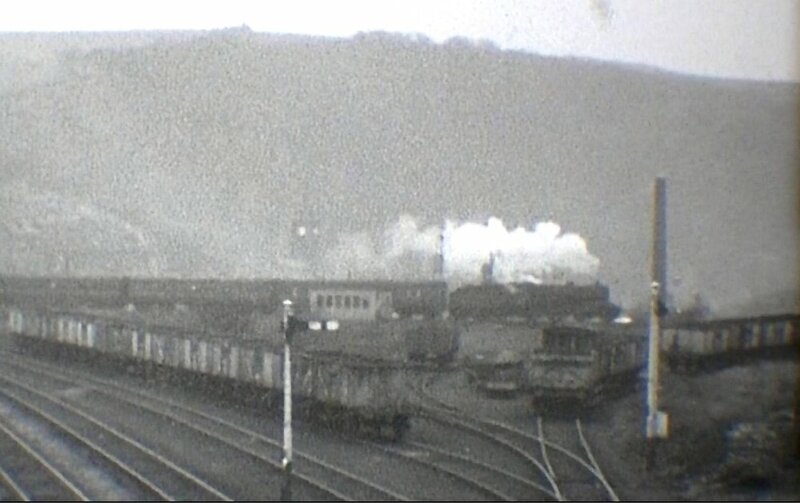 A final screen grab showing the distant arm controlled from Todmorden East under home signal 20 that controlled access to the passenger loop. 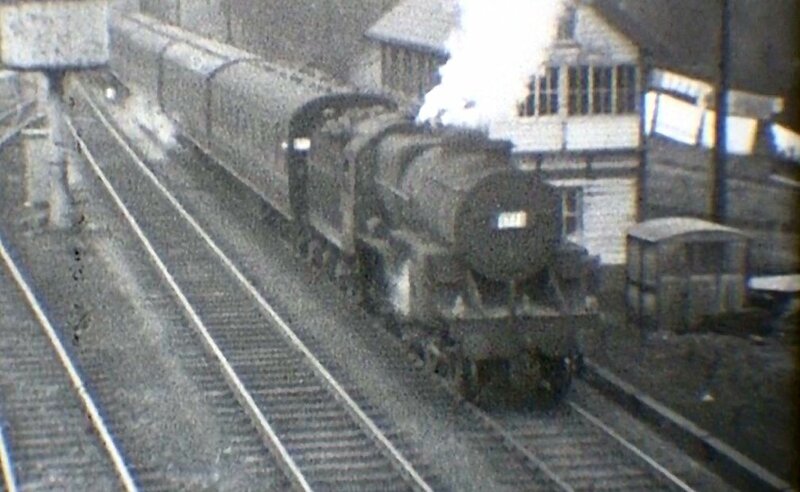 In a b&w photo in the L&YR Society collection there is a long distance shot of this signal, possibly taken in early BR days, which appears to show the distant arm removed. 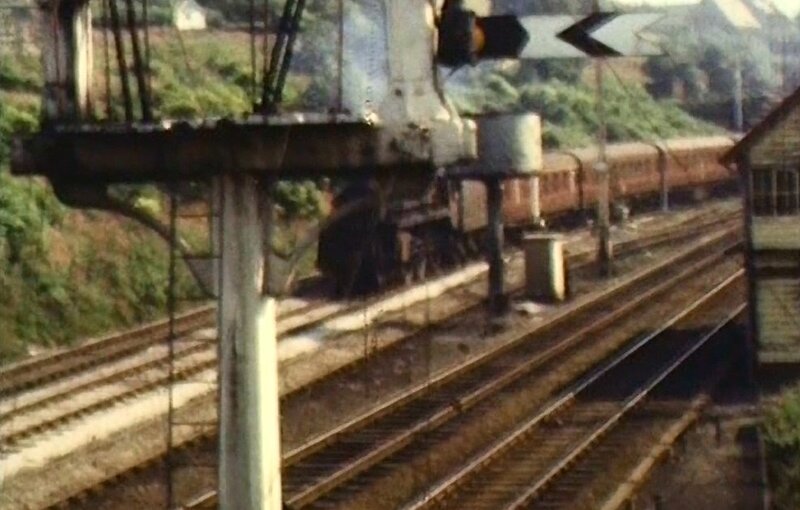 But this shot clearly shows the arm in situ circa 1966 just before this signal was removed completely, and replaced by a 4-aspect colour light with two feathers (one for Copy Pit, one for the Up passenger loop). If anyone knows why the arm was removed and then returned, do let me know.